The National Weather Service reports that six small tornadoes from a single storm system hit Texas and Oklahoma overnight, including one that forced the closure of a state highway in northeastern Oklahoma for more than six hours. 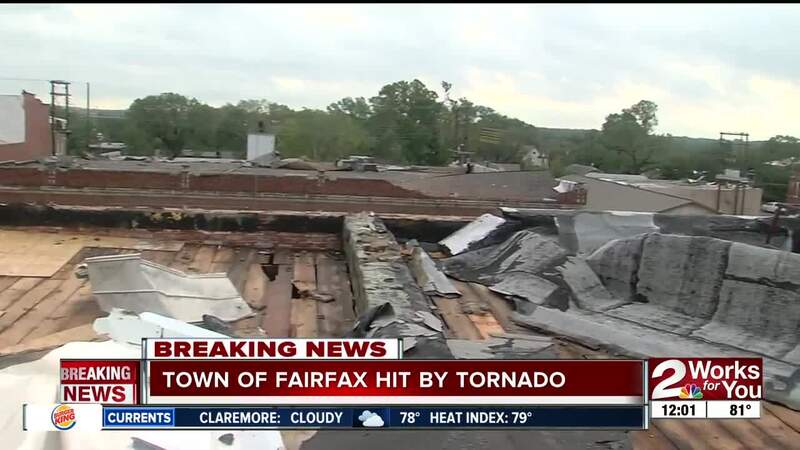 FAIRFAX, Okla. - The National Weather Service reports that six small tornadoes from a single storm system hit Texas and Oklahoma overnight, including one that forced the closure of a state highway in northeastern Oklahoma for more than six hours. 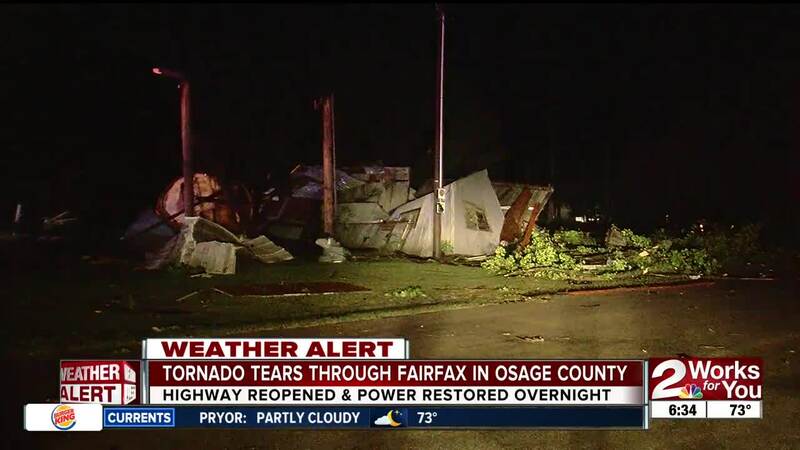 The Oklahoma Highway Patrol says minor injuries and downed power lines were reported Sunday night after a tornado struck the town of Fairfax, leading to the closing of Highway 18 until early Monday morning. Residents are cleaning up on Monday morning. According to Osage County Sheriff Eddie Virden, the downtown area took a direct hit around 8:30 p.m. Neighbors said the severe storm lasted about half an hour, but the tornado took just 30 seconds to devastate commercial and government buildings. Had the tornado path been one block over, it would've hit dozens of homes in a neighborhood. Video from the scene shows large tree branches, sheets of metal and other debris strewn in the town of about 1,300 people, some 50 miles northwest of Tulsa. The NWS says the tornado was a strong EF-0 based on the damage. First responders said no one was killed during the storm, but a few people suffered minor injuries. "We're all very glad we didn't have anybody injured in the incident because you can see by the damage it was a pretty good storm," Sheriff Virden said. The entire town lost power during the storm, including the local hospital and nursing home, which also lost backup generator power. At least a dozen businesses were impacted. Ambulances were on standby all night to transfer patients if needed. Almost all of the power was restored by Indian Electric Cooperative crews overnight. State Highway 18, the main highway through Fairfax was closed for more than six hours while crews cleared debris from the roadway. It was reopened around 2:30 a.m. according to Oklahoma Highway Patrol. The weather service also reported small tornadoes in southern and southwestern Oklahoma and two in the Texas Panhandle, but said damage ratings were not likely before Tuesday.